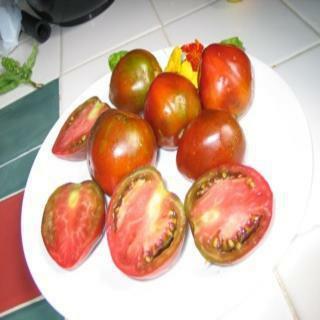 These Noire de Crimee tomato seeds produce a Russian heirloom. Medium size brown, maroon purple fruits are very beautiful and have wonderful sweet earthly flavor. Russian heirloom. Medium size brown, maroon purple fruits are very beautiful and have wonderful sweet earthly flavor.